Congratulations! 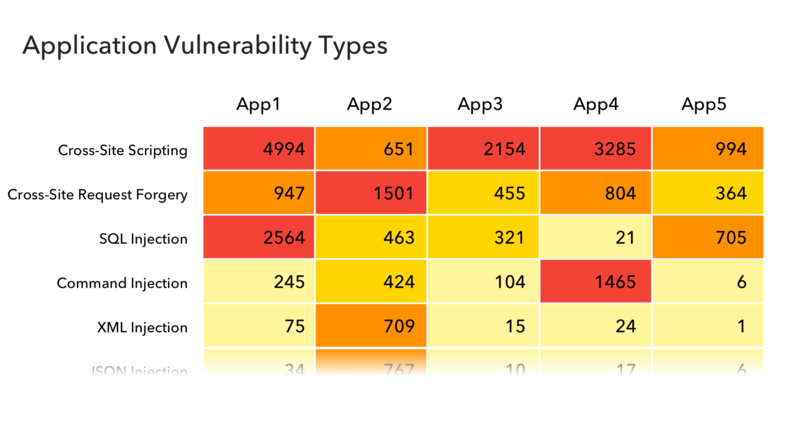 You’ve scanned every line of every application used by your organization and know where every possible Application Security weakness is. Unfortunately, your Secure Software Development Lifecycle program is already running at peak capacity. How do you best prioritize where to spend your limited resources? Do you spend more time on your High Risk, externally-facing applications remediating Low Severity vulnerabilities or shift gears and focus on your Low Risk, internally-facing applications? What key information are you missing? With Prevoty, you have a powerful new tool in your toolbox that can give you the data you need to make informed decisions. As your applications are running in Production, Prevoty monitors all traffic through your applications showing you which unique weaknesses in which applications are actually under attack, who’s attacking, how they’re doing it and what they’re trying to accomplish. This heat map of data provides the key information you need to focus your SSDLC remediation efforts. As an added bonus, Prevoty neutralizes the attack in real-time, lowering the risk of exploit and buying additional time to remediate the issues.